The factory is located in Chennai, Tamilnadu, we are the manufacturer and exporter of all type japanese monuments like head stone, base, sculpture works, and specialized carving works. We are a most trusted name amongst the topmost companies in this business, instrumental in presenting Monument Sign Board. Since commencement, our company has set benchmark in offering Monument Signage. We hold immense recognition in this business and are involved in presenting an enormous quality range of Monument Sign Board to our clients. This Monument Sign Board is used to display information regarding a historical monument. To attain maximum client satisfaction, we offer these products at affordable rates. We feel proud to introduce our business domain as an acclaimed organization of Monument Signs. 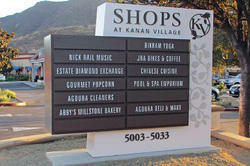 We are an eminent supplier, manufacturer and Importer of Monument Sign to our huge clientele base. They are offered in varied sizes, shapes and colors to meet the demands of diverse clients. These are fabricated using high quality raw material and latest technology at our unit under the supervision of our experts. Clients can avail these from us at very reasonable rates. Our design team will design and coordinate efforts with the City and the architects involved to provide monumentation into established entry areas, lighting, sculptures, site furnishings, wayfinding and signage systems that complement the overall character, environmental design and theming concepts of the project.